All too often, it is believed you do not need to see your dentist until after a problem develops if you are brushing and flossing. Although your oral hygiene habits are important, it is not enough. The American Dental Association also recommends you see your dentist twice a year for a cleaning and checkup. A routine visit allows your oral health to be monitored to prevent complications from developing in the first place. By paying your monthly premiums, your insurance allows you to get the cleanings and checkups you need for no out-of-pocket cost or for a low copayment. Preventive dentistry reduces your long-term dental costs by keeping your mouth healthy. For every $1 you spend on preventive care, you reduce your restorative and emergency dental fees by $8 to $50. Even with the best prevention, complications can still develop, like gum disease and tooth decay. To stop the issues from worsening, your insurance gives you an allowable amount to pay for restorative treatments. After paying your deductible, your policy can cover 50% to 80% of the cost of the procedures. On average, this is equivalent to about $1,000 to $1,500 per family member every year. To make the most of your benefits, your insurance recommends you visit an in-network dentist. This means they have pre-negotiated rates with your insurance company to lower the amount you need to pay out-of-pocket. They will help you maximize the value of your policy to keep your dental care affordable. Unfortunately, your coverage does not last forever. At the end of the calendar year, it expires. You will lose the money you have paid in premiums and deductibles while missing the opportunity to save money to promote your dental health. With less than 3% of people meeting or exceeding their benefits yearly, you likely have several remaining. Although it is a busy time of year do not forget about your dental insurance. Schedule an appointment with your dentist to achieve a healthy smile for affordable rates. 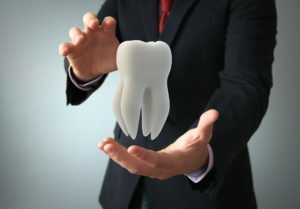 Dr. Jasmine Coleman King provides modern dental care using the latest techniques in dentistry. She strives to deliver affordable services to help her patients maintain optimal oral health. As an insurance dentist in Fort Worth, she works with many PPO plans to keep dentistry affordable. If you have remaining benefits, do not wait. Contact Summer Creek Dentistry today to schedule an appointment.